Pro-Tec Alarms Ltd are specialists in the design and installation of burglar alarm systems, CCTV systems and many more security solutions for the industrial sector. We offer free surveys and can provide a no-obligation estimate on security solutions for your building. Pro-Tec Alarms Ltd covers Swansea and the surrounding areas and provides a great value for money service. After installation of your security system Pro-Tec Alarms Ltd also provides expert maintenance follow ups, as well as a full 24 hour support service for your convenience. Whether you require an intruder alarm or CCTV installation, upgrade or repair, the team at Pro-Tec Alarms Ltd is here to help. Burglar Alarms – Pro-Tec Alarms Ltd can provide a wide variety of burglar alarms which are designed to alert you if there is an intruder on your premises. 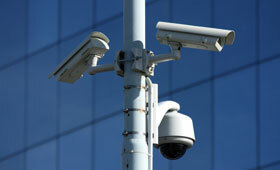 Security Systems – We supply top of the range security systems for industrial properties at affordable prices. Alarm installation – Our team is available to install a variety of alarm systems dependant on your requirements. Alarm maintenance – As well as installing alarms we can also provide ongoing maintenance for all of our clients. CCTV Installation – If you would like the peace of mind that comes from CCTV surveillance, Pro-Tec Alarms can supply and install CCTV at your industrial property. Alarm Systems – At Pro-Tec Alarms Ltd we have a selection of different alarm systems available to suit your needs. Wireless Alarm Systems – We have many wireless alarm systems for you to choose from. Intruder Alarm Systems – The intruder alarm system is a popular choice in security system and functions excellently as a deterrent of intruders. If you would like to know more or about the industrial property security systems Pro-Tec Alarms Ltd offers, our knowledgeable and friendly team are available 24 / 7 and will be happy to help with all enquiries. 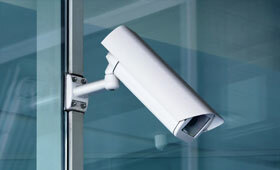 If you require a security system installing for your industrial residence, don’t hesitate to contact us today. Each new alarm system installed by Pro-Tec Alarms gets their first year of service included completely free of charge! Contact us today for more information. For more information on our security solutions for industrial properties, to arrange a free quote or consultation or to employ Pro-Tec Alarms Ltd today, call us on 01792 894 995, fill out our contact form or email us at protec1@sky.com and a member of our team will be happy to help!